Find out where you would end up if you dig a tunnel straight through earth. If ever as a kid you've wondered where you'd end up if you dug a tunnel straight through the earth, there's a website to satisfy your curiosity now. Antipodes Map, as the name suggests, helps you find antipodes or the other side of the world. 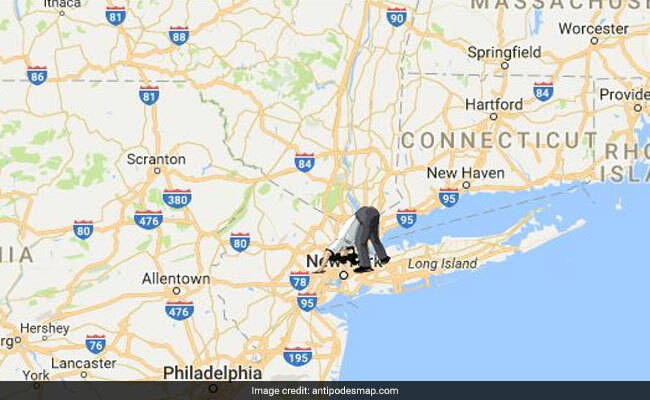 This fun interactive map, complete with a cartoon man who 'digs' a tunnel through the center of the earth, shows you what lies directly opposite to your location on the globe. So, for example, if you start digging in Brazil, you'd end up somewhere in the Philippines. Curious to find out where you would end up? Just enter your location and find out here. The bad news? If you're anywhere in India and you start digging, you'll eventually end up somewhere in the South Pacific Ocean. The good news? You can't dig a tunnel straight through the earth yet. So you're safe.